When it comes to discount online brokers one of the best known names is ETrade. With it’s easy to use interface, wide range of investment options and slick marketing it has a lot of appeal for many beginner investors. In this review we will look at whether or not E*trade lives up to its reputation. 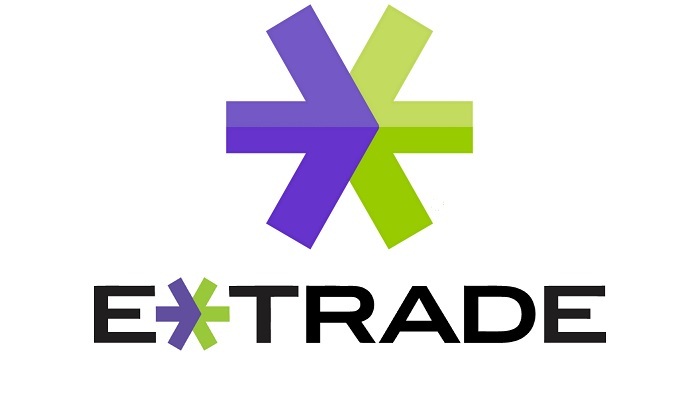 We will detail the main advantages of using E*trade and some of the features of this broker we really like. We will also explain some of the flaws of E*trade and explain which type of investors may want to choose a different broker. 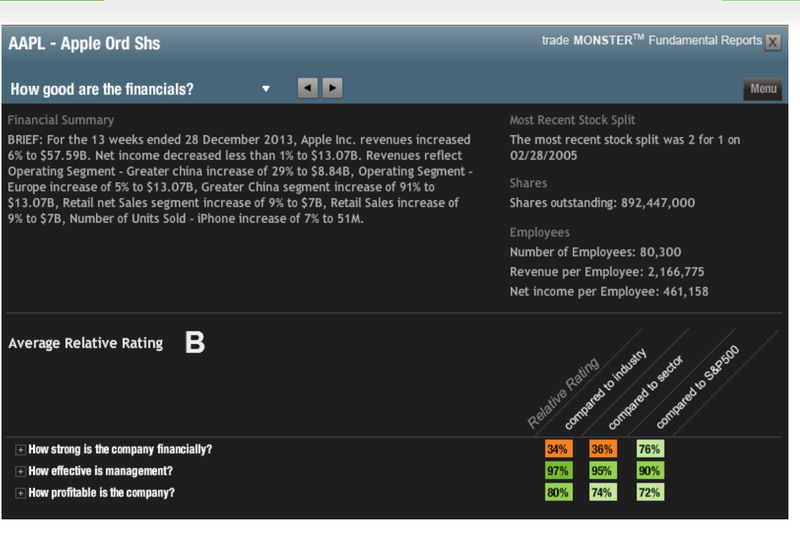 Finally we will give our overall recommendation for E*trade. 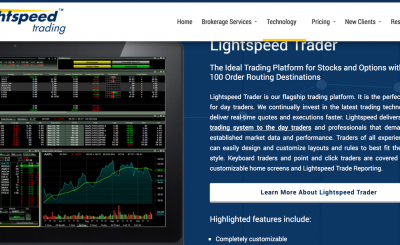 ETrade markets itself as a discount brokerage for high frequency traders. This is reflected in the fee structure which offers $7.99 trades if you do over 150 trades per quarter. Also on offer are $7.99 option trades plus per 0.75 option contract for frequent traders. Probably the biggest reason to choose E*Trade over other online discount brokers is the large range of investments on offer. 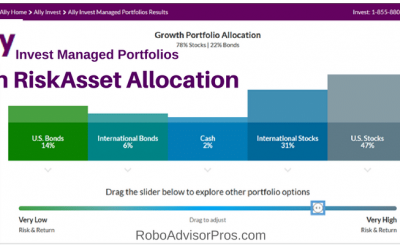 This includes bonds, mutual funds, fixed income investments, ETFs, and options. In addition E*trade also offers banking services such as checking accounts, high interest savings accounts and mortgage accounts. 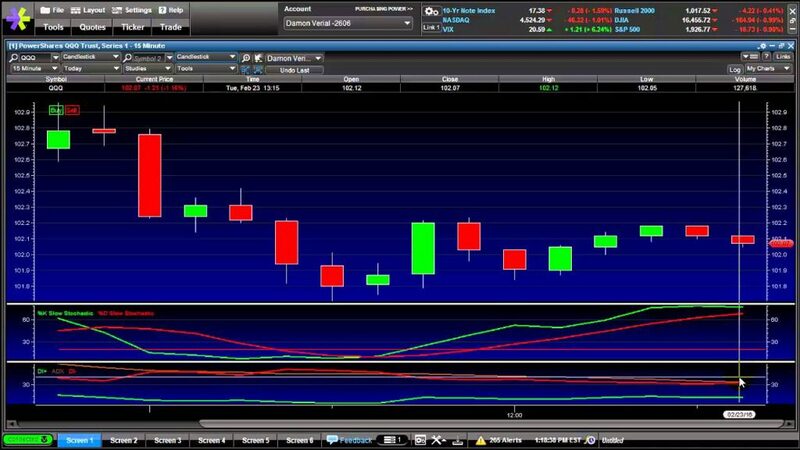 ETrade includes a lot of educational material for investors and traders through its ETrade education center. This includes video courses on everything from planning your retirement, to stock analysis to trading options and futures. The quality of the courses is very high and provides an excellent education for new investors. Another good reason to choose ETrade is the ETrade Pro trading platform, which is the brokerages premier trading tool. 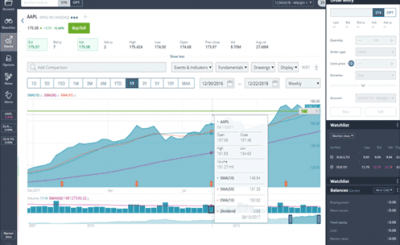 ETrade Pro has a great range of features including backtesting, technical screeners, streaming news, charting tools and live CNBC TV. ETrade also offers specific trading tools for options, futures, and Forex trading. 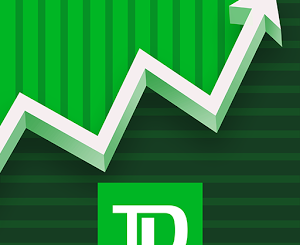 Mobile ETrade allows trading on Android, iPhone, iPad, Blackberry and Windows Phone. In the past one of the biggest complaints about E*trade has been customer service. However they have done a lot to improve this in recent years including introducing live chat on the website. There are also a number of other contact options include phone, post and email. International customers can also call toll free from certain locations. ETrades fee structure is very competitive if you are a frequent trader but it is considerably less so if you are only trading infrequently. Fees are $9.99 stock trades for customers who do less than 150 trades per quarter. 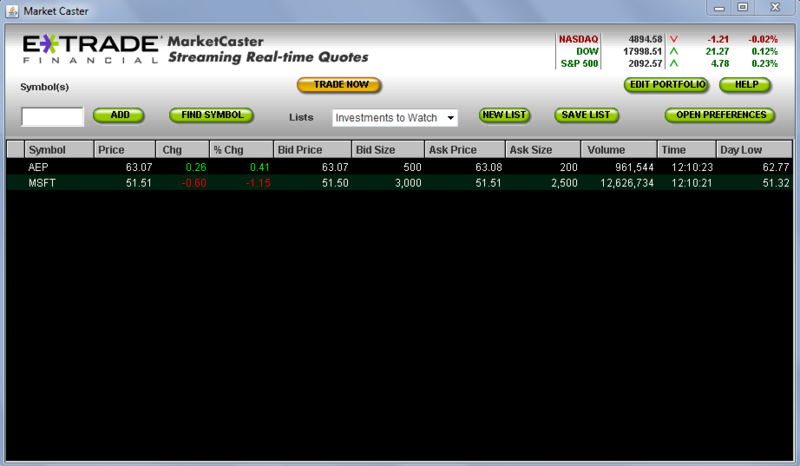 Option trades are similarly $9.99 plus 0.75 cents per contract. While this is not overly expensive, there are discount brokers which offer cheaper trades. Broker assisted trades are also pricey at $45 a trade, so ETrade really is only suited for online traders. There is a $25 maintenance account fee charged every quarter, if your account is less than $5000 or if you make less than two trades in that quarter. For investors with relatively low balances, this is something that you need to be aware of. ETrade is an excellent option for investors who are looking for relatively low fees, easy to use trading tools and good customer support. It is particularly well suited if you are a frequent trader, as you will be able to take advantage of the lower fee structure. For infrequent traders and those with low account balances there are discount brokers that offer better value for money. But for most investors the wide range of investment options and great tools and educational resources, makes ETrade a very good choice. Ally Invest Review: Should You Choose This Broker?